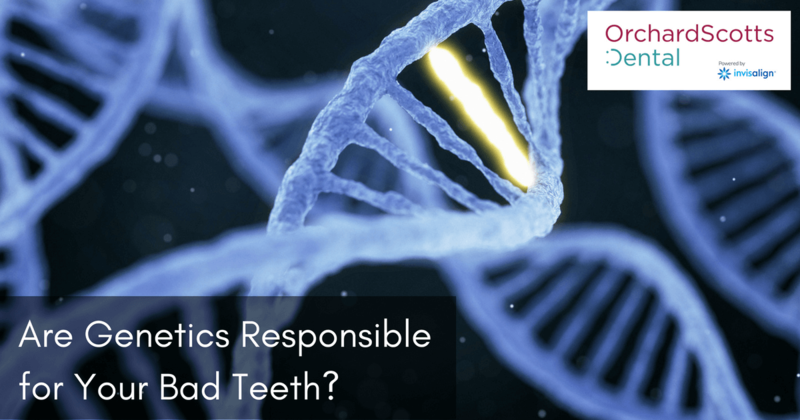 According to a recent story from The Citizen, it’s not always accurate to blame bad teeth on genetics. Modern research has revealed that, more often than not, tooth decay is caused by various lifestyle and environmental factors. Bacteria take up residence in a human being’s mouth during infancy, not long after birth. That’s why it’s important for parents to start gently brushing their baby’s newly grown teeth with a soft toothbrush and water. Later on, a mild fluoride-free toothpaste can help keep buildup at bay. Once the child learns how to spit out the leftover toothpaste after a brushing, parents can switch to a regular type of toothpaste that includes fluoride and combats tartar and cavities. A recent study of fraternal and genetically identical twins revealed some interesting facts about bacteria and tooth decay. Some of the bacteria in the twins’ mouths seemed to be an inherited species with a genetic or inheritable component. However, the bacteria that seemed to be inherited or communicated from family members were not those primarily responsible for causing tooth decay. Researchers found that the most harmful bacteria are those that flourish in the mouth because of other environmental factors. When a person eats too much sugary food, bacteria in the mouth are fed and can multiply quickly. If the teeth are not brushed regularly, flossed, and cleaned at a Singapore dentist’s office, the bacteria can eat away at the teeth and cause cavities. Although tooth decay stems from poor choices like eating too much sugar and failing to clean the teeth, other types of tooth problems do have a stronger connection to genetics. For example, a person’s genes can influence how crooked their adult teeth may be. Genetics can also affect whether or not teeth form correctly. Weaker enamel may also be an inherited factor. The crookedness of teeth or the weakness of enamel doesn’t cause decay, but these factors can make the teeth harder to keep clean. Treatment with Invisalign to straighten out the teeth may be helpful, not only for appearance but also for the longterm health of the teeth. The thickness person’s enamel is the determining factor for the whiteness or yellowness of their teeth. The thicker and stronger the enamel, the white the teeth. Thinner enamel can be an inherited weakness; and the yellow of the teeth generally becomes worse as the person ages and the enamel thins even further. While there is a genetic component for yellowed teeth, some lifestyle factors may also be to blame. Smoking or chewing tobacco can cause yellow or brown tooth stains. Drinking coffee or other strongly pigmented drinks also has an effect on the colour of the teeth. Your Singapore dental clinic is the place to go for help with any of these issues. At Orchard Scotts Dental, we coach our patients on effective cleaning methods, and we also provide services like Invisalign for crooked teeth and whitening for yellowed teeth. A tooth that is severely decayed can be replaced with a dental implant that matches all your other teeth. To find out how we can help your particular situation, contact our offices today.